“I Just Can’t Stop Loving You” is the first of five consecutive number-one Billboard singles released from Michael Jackson’s 1987 ‘Bad’ album. “I Just Can’t Stop Loving You” was written and composed by Michael Jackson and co-produced by Quincy Jones and Michael Jackson. The song was initially intended to be a duet – first with Barbra Streisand, then with Whitney Houston; though ultimately became a duet with Siedah Garrett (co-writer of ‘Man In The Mirror’). The original CD release of ‘Bad’ features a 36-second spoken word intro by Michael Jackson. For the first time in his career, Michael recorded separate French and Spanish-language versions of the song “I Just Can’t Stop Loving You”: “Todo Mi Amor Eres Tu” and “Je Ne Veux Pas la Fin de Nous”. BONUS: Singer/Songwriter Sheryl Crow toured with Michael Jackson as a backing vocalist during the ‘Bad’ World Tour, and performed the song “I Just Can’t Stop Loving You” as a duet with Michael. “I Just Can’t Stop Loving You” was released as a 7” promo single on July 20th, 1987 on Epic Records. It was the 1st single to be released from the ‘Bad’ album. 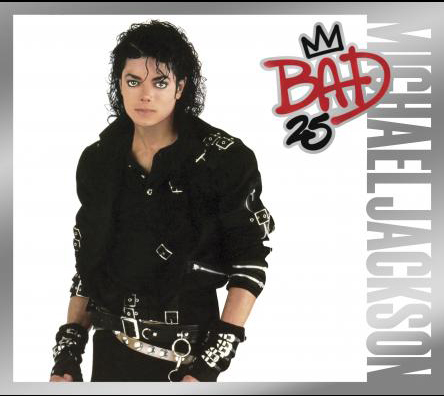 The original CD release of the ‘Bad’ album features a 36-second spoken word intro by Michael Jackson at the start of “I Just Can’t Stop Loving You”. The ‘B’ side of the 7” promo single is also “I Just Can’t Stop Loving You” (4:08). “I Just Can’t Stop Loving You” was released as a 7” single on July 20th, 1987 on Epic Records. The ‘B’ side of the 7” single is “Baby Be Mine” (4:14). “I Just Can’t Stop Loving You” was released as a promo CD single in the United States on July 20th, 1987 on Epic Records. The promo CD single contains the song: “I Just Can’t Stop Loving You” (4:10). “I Just Can’t Stop Loving You” was released as a 3″ mini-CD single on July 20th, 1987 on Epic Records. The mini-CD single contains the songs “I Just Can’t Stop Loving You” (4:12), and “Baby Be Mine” (4:14). “I Just Can’t Stop Loving You” was released as a CD single on July 20th, 1987 on Epic Records. The original CD release of the ‘Bad’ album features a 36-second spoken word intro by Michael Jackson at the start of “I Just Can’t Stop Loving You”. The CD single includes the songs “I Just Can’t Stop Loving You” (4:10) and “Baby Be Mine” (4:14). “I Just Can’t Stop Loving You” was re-released as a 7″ single on June 5th, 2012 to celebrate the 25th anniversary of the ‘Bad’ album. The 7″ reissued single includes the original 1987 version of “I Just Can’t Stop Loving You” (4:17), featuring a 36-second spoken word intro by Michael Jackson, and the song “Baby Be Mine” (4:14) on the ‘B’-side. “I Just Can’t Stop Loving You” was re-released as a Wal-Mart-exclusive CD single on June 5th, 2012 to celebrate the 25th anniversary of the ‘Bad’ album. The CD single includes the original 1987 version of “I Just Can’t Stop Loving You” (4:17), featuring a 36-second spoken word intro by Michael Jackson, and the song “Don’t Be Messin’ Round – Demo” (4:25). “I Just Can’t Stop Loving You” - written and composed by Michael Jackson. Vocal duet by Michael Jackson and Siedah Garrett. David Paich, Greg Phillinganes: Synthesizers. Rhythm arrangement by Quincy Jones. Synthesizer arrangement by David Paich and Quincy Jones. Vocal arrangement by Michael Jackson and John Barnes.